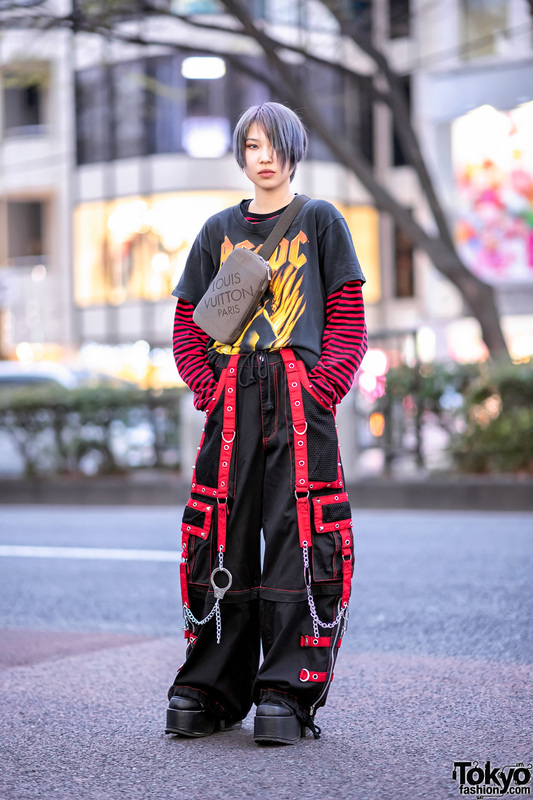 While out on the streets of the Harajuku neighborhood, we came across Sakuran, an 18-year-old fashion college student who is a popular face on the remake/handmade streetwear scene. 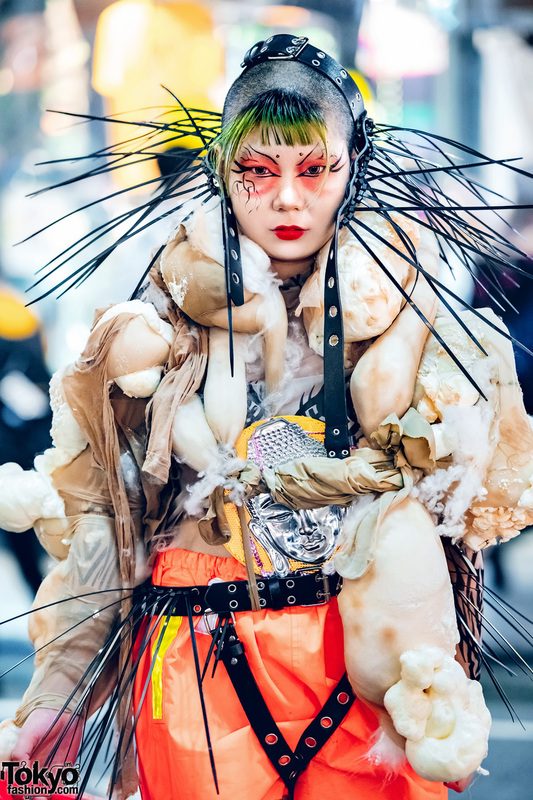 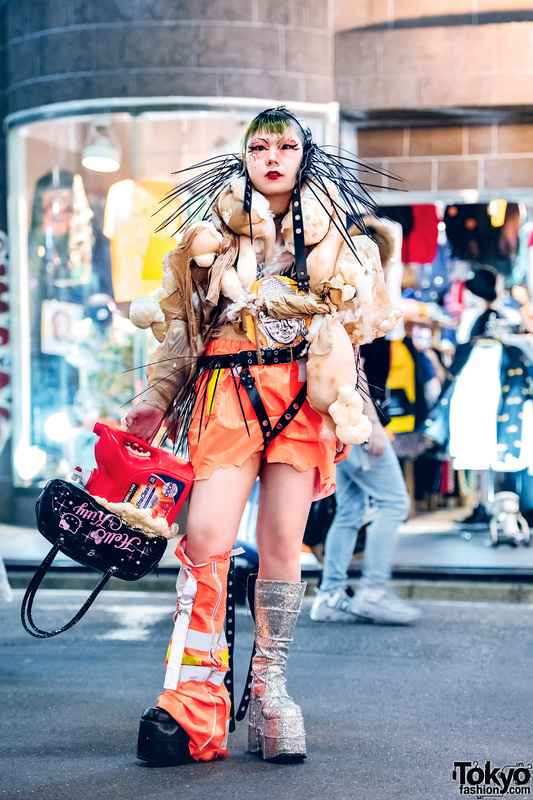 Today, Sakuran is dressed in another eye-catching remake/handmade style which consists of a white cropped shirt, worn underneath a sheer outerwear piece made up of stockings, stuffed with cotton wool and a center medallion-like embellishment. 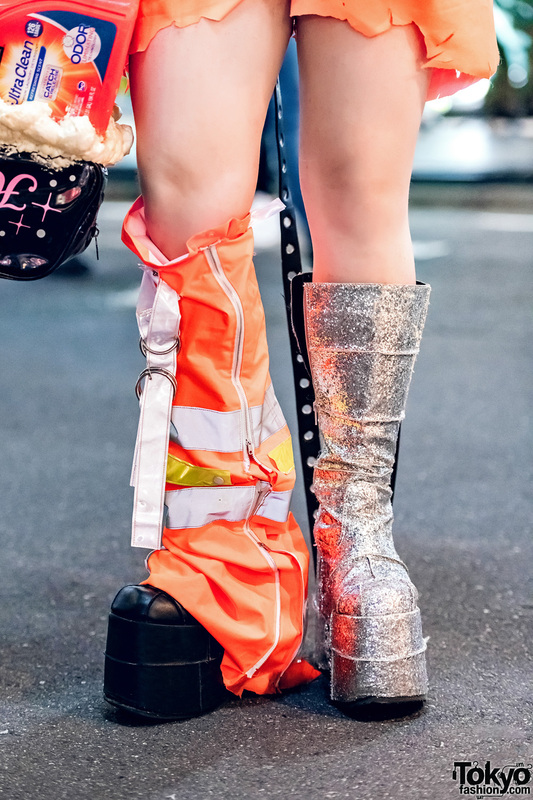 They paired their funky tops with orange shorts – with a zig-zag hem – an orange zip-up leg warmer, and finished off their outfit with mismatched boots consisting of a platform silver glitter calf boot and a platform black leather boot. 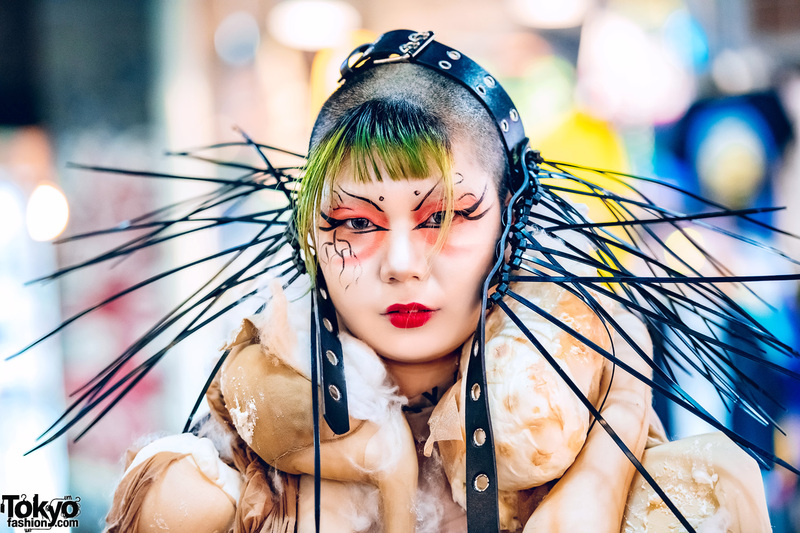 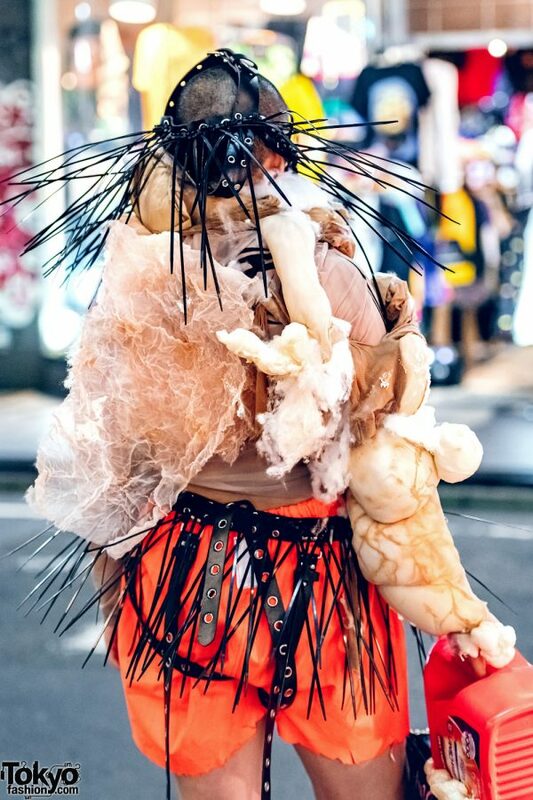 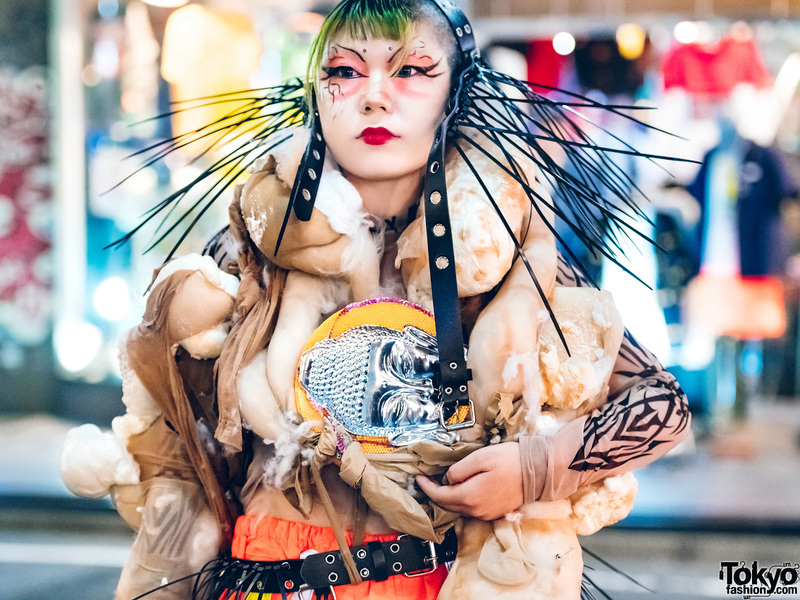 Sakuran garnished their creative look with a DIY spiked headpiece over their shaved head and green bangs, and a black leather grommet crotch harness with spikes. 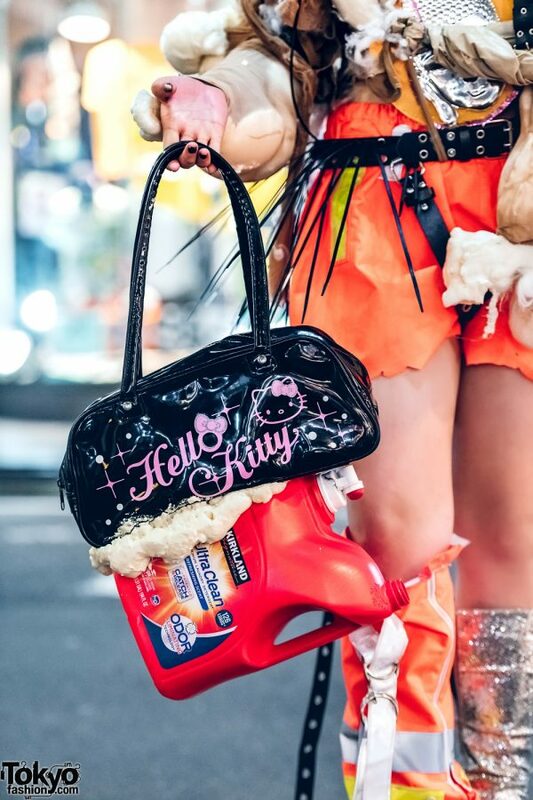 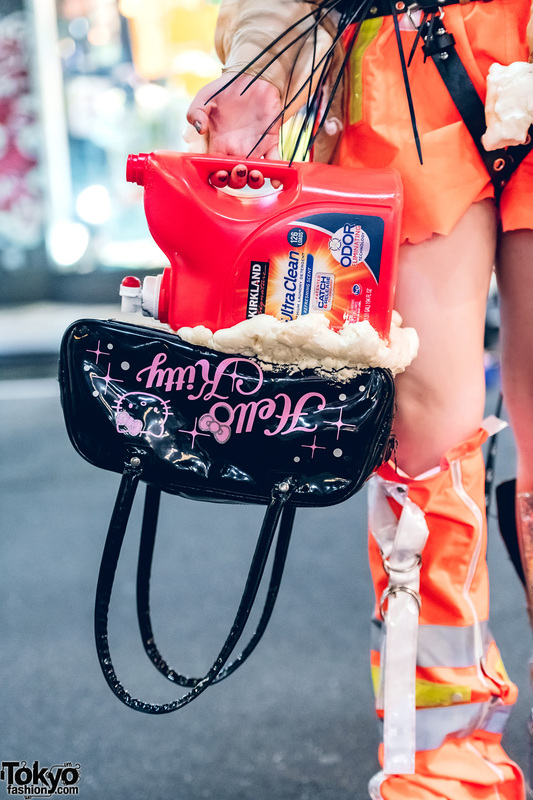 In addition, Sakuran is carrying a Hello Kitty patent leather handbag fused with a Kirkland Signature laundry detergent plastic bottle. 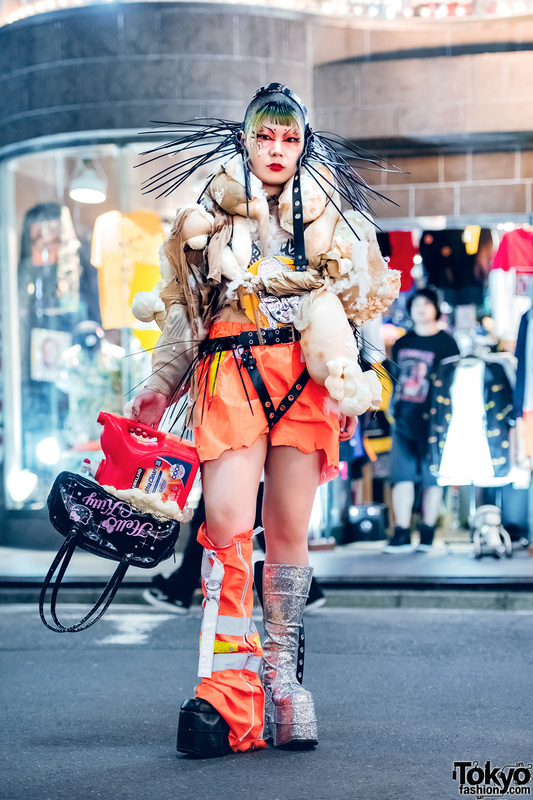 Sakuran’s favorite fashion label is Hoyajuku and they are active on both Twitter and Instagram.